Jonathan specialises in the regulatory areas of unfair commercial practices, unfair contract terms, consumer protection, consumer credit licensing, product liability and safety, cosmetics, weights and measures, age restricted sales, pricing, food safety and hygiene, food labelling, animal welfare, trademarks, environmental health and health and safety. He regularly appears in court and advises on all these matters. He also has considerable experience in Enterprise Act 2002 civil enforcement matters and financial fraud. Additionally he retains traffic commissioner and road traffic cases as part of his practice. 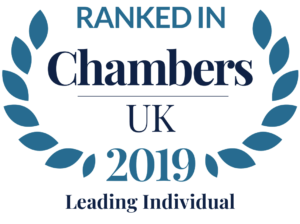 Jonathan is recommended as a leading junior in the Chambers and Partners Directory and the Legal 500. He appeared in the two leading Court of Appeal cases on the construction of key concepts in the Consumer Protection from Unfair Trading Regulations 2008. Recently he has appeared and advised in several cases concerning the application of the Definitive Guideline on sentencing in Health and Safety and Food Safety cases. Jonathan is an elected member of the Bar Council and Joint Head of Chambers. Empress Cars v Environment Agency  2 AC 22: Jonathan appeared together with Fred Philpott in the House of Lords in the leading case on the meaning of ‘cause’ in water pollution cases. Jonathan regularly writes articles for such organisations as Trading Standards Monthly, Westlaw Insight and Lexis Nexis Analysis. Jonathan regularly makes presentations to private practitioners, trading standards officers and local authorities on Regulatory and Consumer Law. In 2014 he gave lectures to and held seminars for undergraduate law students at Manchester University as part of the Consumer Law course. Jonathan has recently been re-elected to the Bar Council for a three year term. He also serves on the Bar Council Law Reform Committee and its Education and Training Committee. He is a member of the Food Law Group.